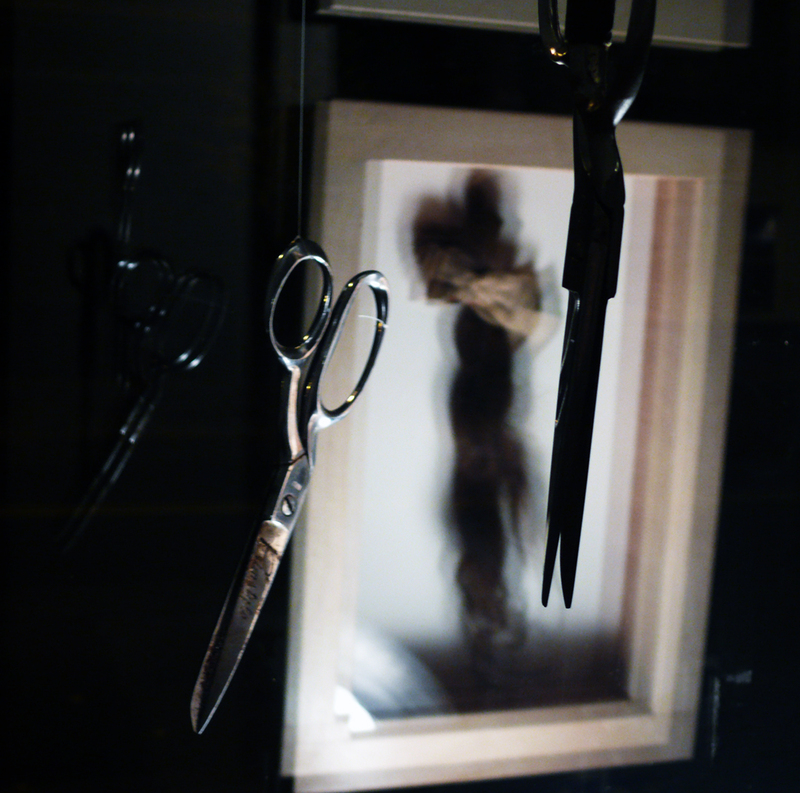 This month’s Unblurred features found objects reinterpreted by Laura Vincent. Framework by Michael Vincent. Laura got the chance to explore a group of row houses in the Northside before their scheduled demolition. Grace, the owner of these homes, rented rooms to people for extra money, and over the years, accumulated a bit of everything. Beautiful china, old tools and ladders were some of the more practical finds, but Laura wanted the things that nobody else did, such as boxes filled with cut locks of hair, bows still tied into tails. 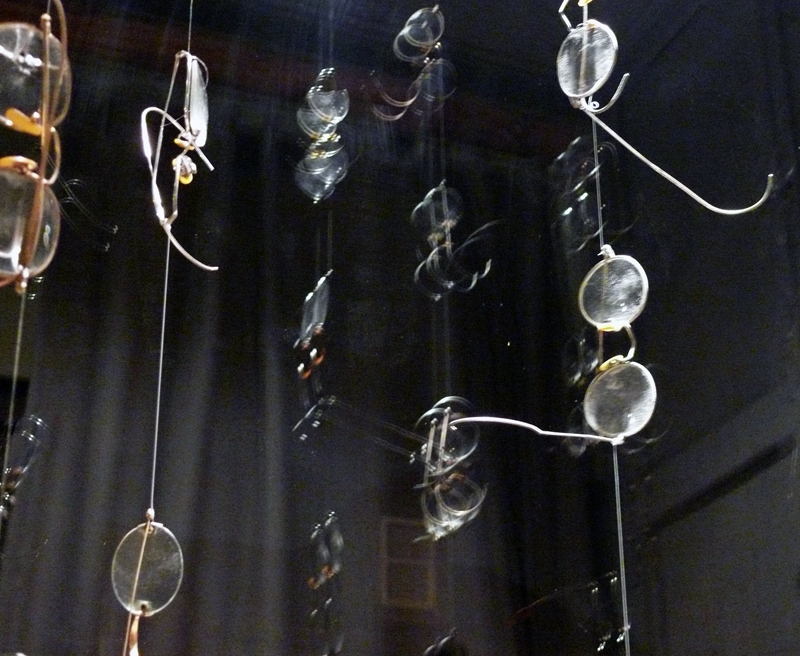 You can trace decades of Grace’s life through the various styles of eyeglasses she left, over 60 pairs. Why did she save these items? Do they even belong to Grace or the boarders who passed through her halls? The keepsakes are more of a mystery than revealing one person’s life. I keep thinking I’m subscribed to this blog, and now I find out I’m not. So many intriguing posts to catch up on! 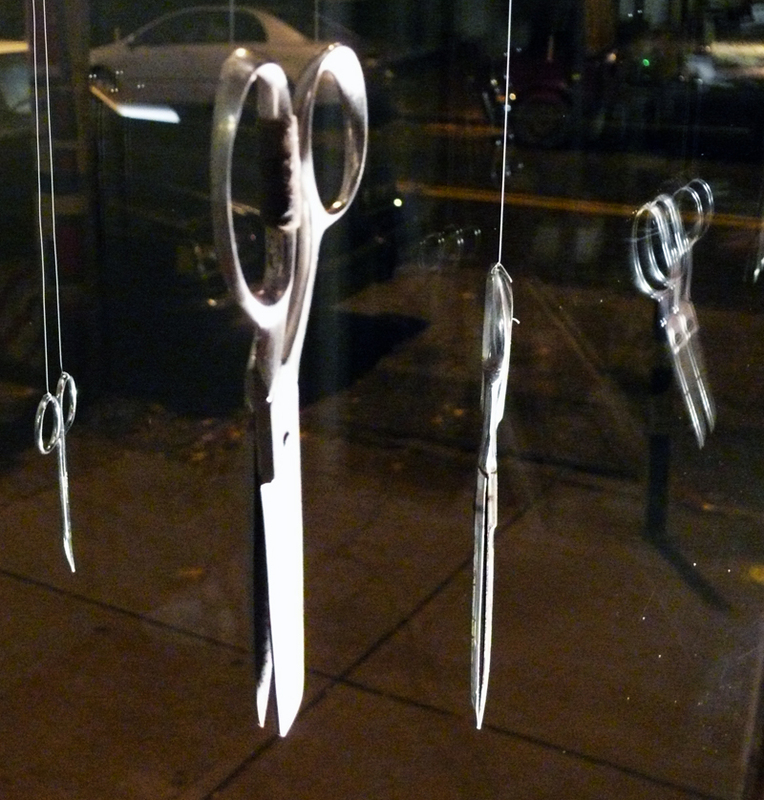 This display is fascinating… scissors and glasses, so lovely the way they hang in the light. I attended a workshop last weekend where the photographer said (among other things) that collections make great photographs, the more personal, the better. I must remember this, how ordinary objects become extraordinary. 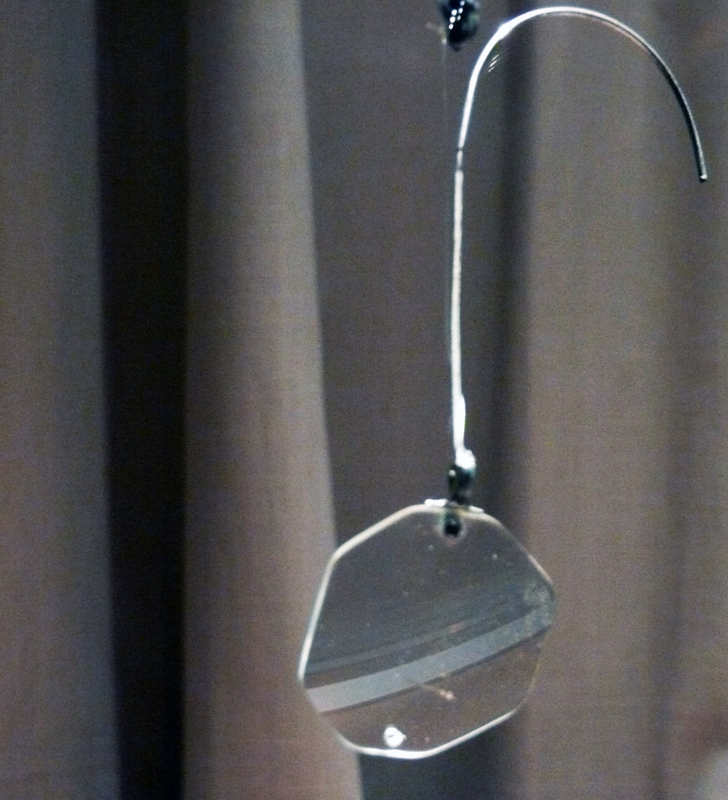 I love how objects tell a story, or in this case, only alludes to one. Grace was a bit of a hoarder – Laura told me there was one room with nothing but duffel bags filled with who knows what. A pile of collages made by one boarder, just left there. Sometimes I feel guilty that I own so much stuff and then realize maybe I’m not so bad off. I’d love to see what ‘ordinary’ objects you find in your photo shoots in the upcoming winter months. Nice! I’ll be walking by this evening. Yes! I took these before the window was even ready, so now it’s filled with goodness.